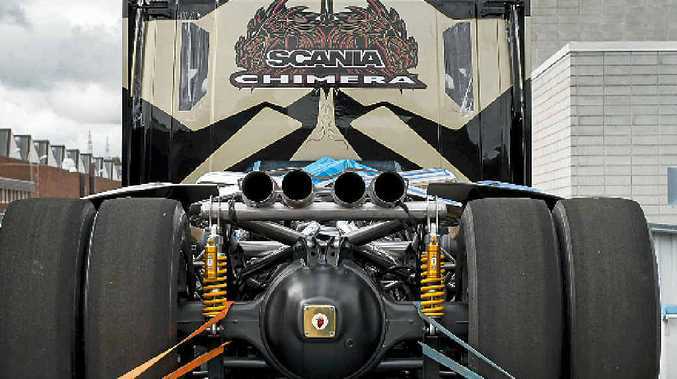 THE Chimera is the latest spectacular show truck from famed Swedish custom builder Svempa Bergendahl. 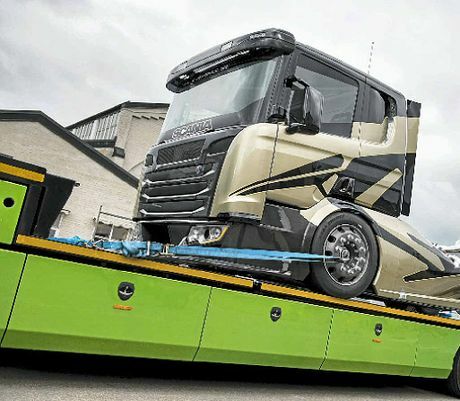 A true eye-catcher, the vehicle is packed with power thanks to a reliable Scania V8 engine that initially delivers 1460hp and allows it to accelerate from 0-100km/h in 4.6-5 seconds. The vehicle is Svempa's fourth show truck and, like its predecessors, it's expected to generate a legion of followers around the world. The truck made its debut at the Interlaken Trucker and Country Festival in Switzerland in June. Designer Jan Richter from Svempas said there were plans to boost the truck's horsepower to more than 2000hp. "The Chimera fills a gap in our collection, namely a truck with a clearly futuristic outlook," he said. "With its beautifully exposed engine and engineered design it takes styling to the extreme. But it also features state-of-the-art technology, using high-end materials as well as being prepared for future hybrid e-technology." The team at Svempa started sketching the truck five years ago. It underwent numerous design alterations ahead of the finished product being ready and is raring to go aside from some additional engine adjustments. "Previously, we've had an eye towards a slightly retro appearance but have now gone all-in for a truck that is decidedly contemporary in all aspects," Richter says. "It also has more of a racing expression with attitude. 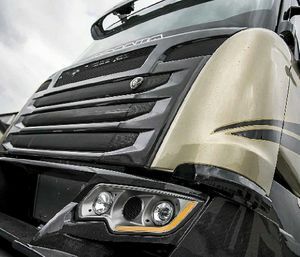 Yet, we've continued to carefully adhere to the signature Scania design language, albeit taking that quite a few steps further." Richter has high hopes that the truck will appeal to fans as much as the earlier show trucks, although he suspects the design may take some getting used to. "Our fans expect something out of the ordinary and I can proudly say that is precisely what we are providing," he says. The vehicle is named after the Chimera, which according to mythology was a monstrous fire-breathing three-headed hybrid of a lion, a drake and goat with a snake as a tail. 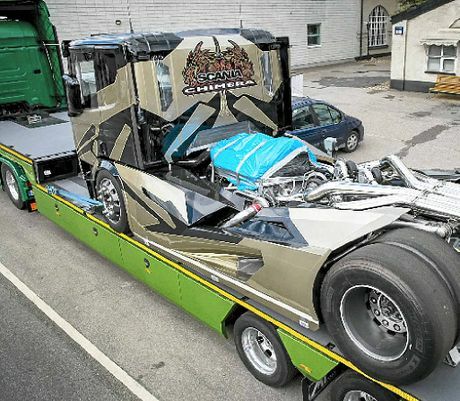 Following the Chimera's appearance at Interlaken, it was exhibited at the Truckstar Festival in Assen, the Netherlands, in July and then will be at the Elmia Lastbil show in Jönköping, Sweden, from August 20-23.